Another week of me feeling like I haven’t seen much of my little boy. He is growing and changing everyday and it makes me sad that I am away from him for so long during the week. I have noticed this week that he is attempting to repeat words back to us and he has taken steps unaided a couple of times. This week’s photo was taken on Friday evening before dinner. 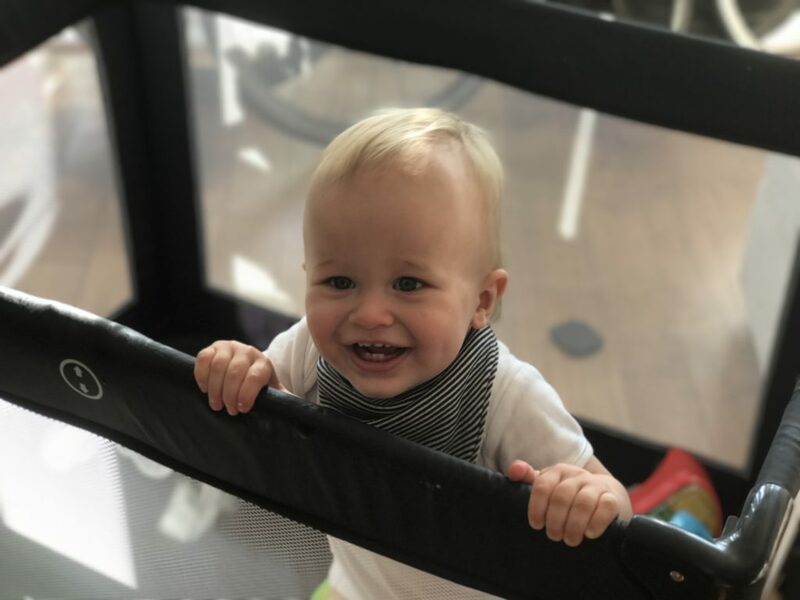 He has started to spoon feed himself yoghurt (with a little help) and is quite happy to be left in his travel cot to play while we make him his dinner. He is going to be turning 13 months old this week. We now have a proper little boy on our hands.